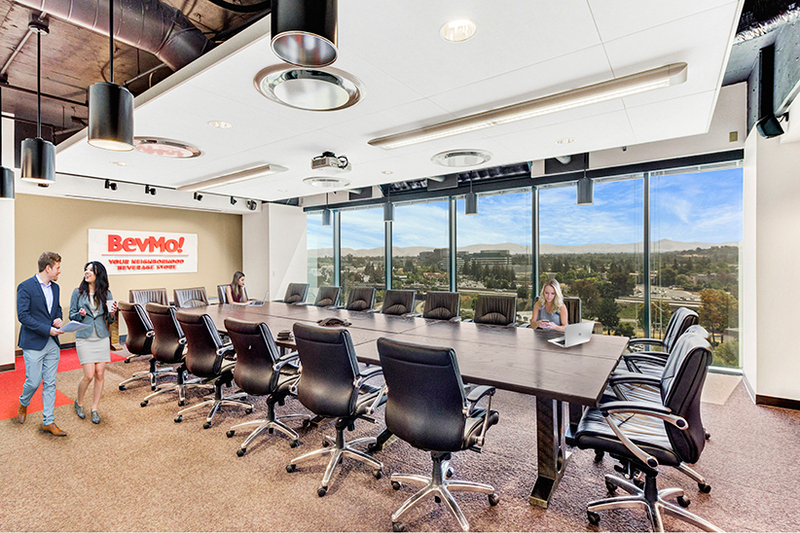 A design challenge and collaborative vision for a company culture that was a radical departure from their current location. 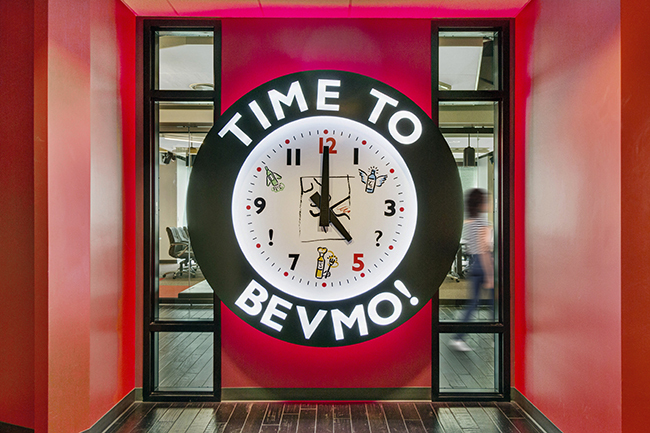 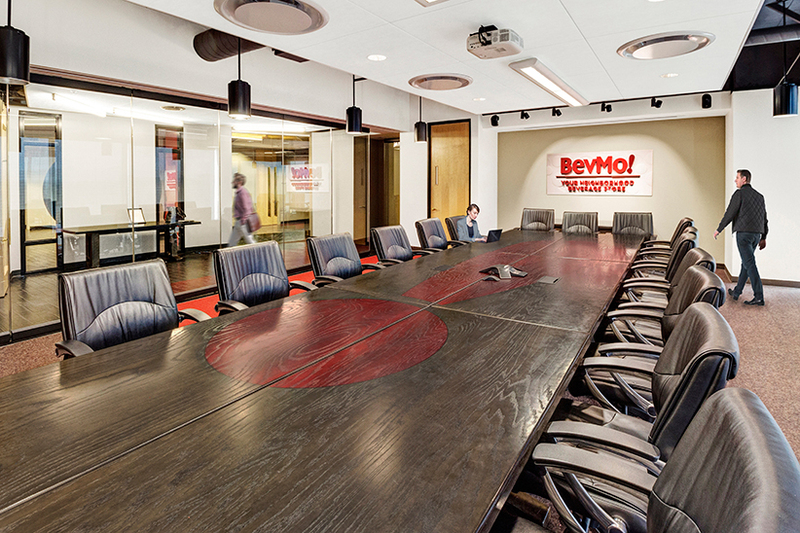 BevMo!, the leading alcoholic beverage – lifestyle specialty retailer in the western United States, charged the design team with planning their new 35,000 square foot corporate headquarters to energize the company and stimulate open communication, creativity and excitement. The new corporate offices provide a cohesive workspace that promotes rapid team building and department specific management. 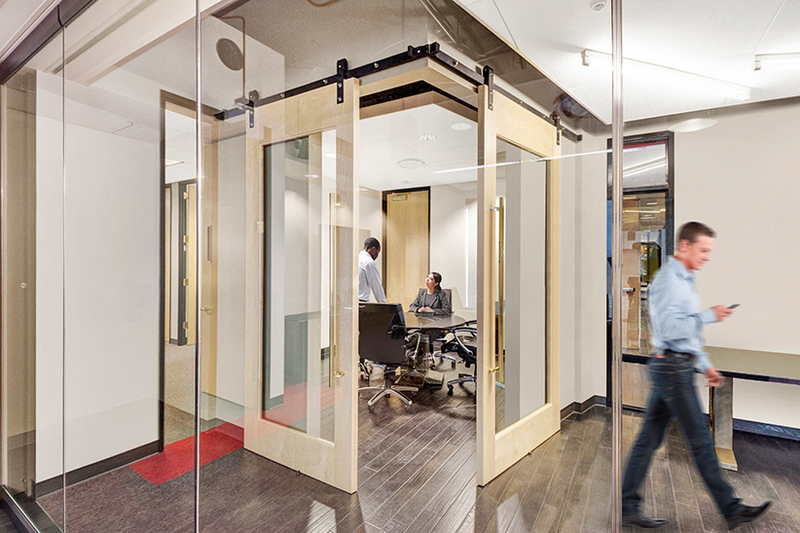 Fully retractable glass walls convert the boardroom and adjacent foyer to a space suitable for hosting large scale events. 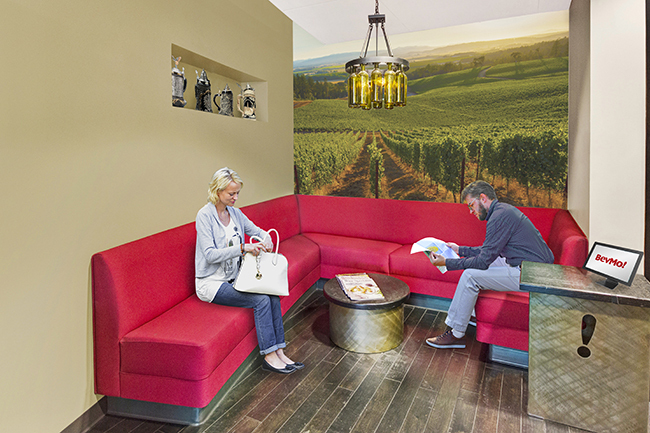 The floor also includes a spacious, contemporary employee café area which promotes social interaction and a place to re-energize. Large scale, custom designed/engineered maple “barn doors” provide a sense of arrival to key areas. 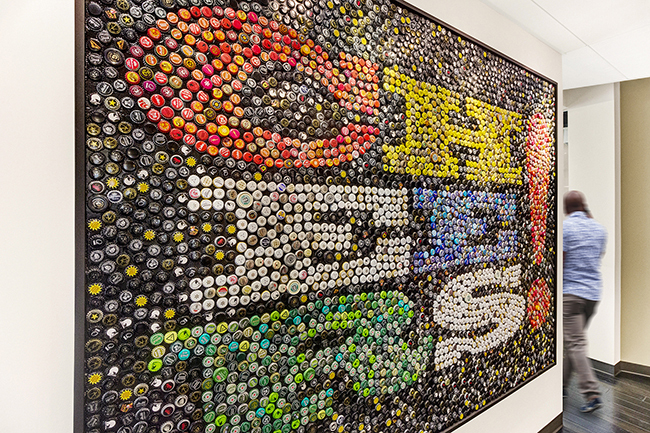 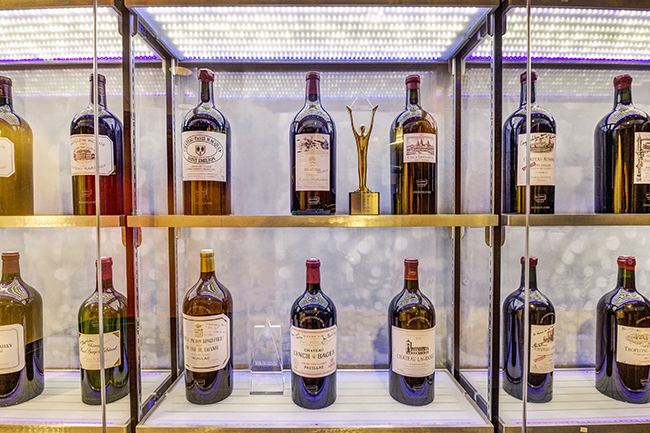 A complex selection of materials incorporates dark espresso wood plank floors and crisp white walls as a backdrop to a myriad of specialty elements including a custom designed “bottle cap” mural and wine bottle chandelier. 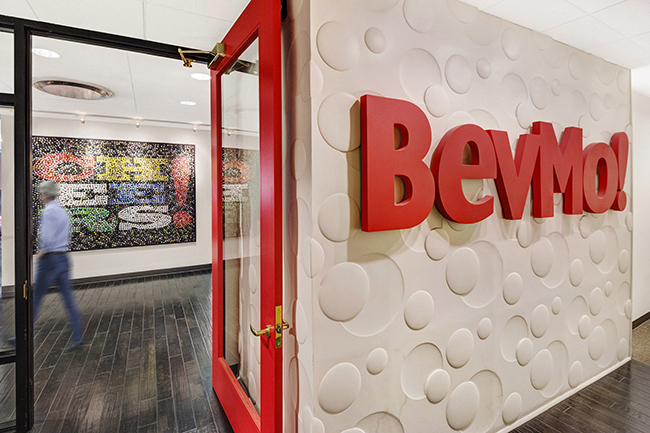 Bold accents in primary hues appear throughout the floor promoting a friendly, inviting and entertaining environment.